In the morning hours of Saturday, February 2, 2019, God wrapped His loving arms around Priscilla Steinocher and said come with me. Patsy or Pat, as she was affectionately known by her family and friends, was born on December 13, 1936 in Corpus Christi, Texas to Maynard Emerson and Zado Terry Foy. Her family soon moved to Alice, Texas where Patsy idolized her brothers, John Emerson and Jerry Lee, and lived an idyllic life going to Friday night Coyote football games with her Daddy. The family eventually moved back to Corpus Christi, and Patsy became active in the Order of the Rainbow and other church activities at Wesley Methodist Church. She made the biggest decision of her life at only 14 years of age when she chose to have a relationship to Jesus Christ, and her church became part of who she was. She graduated in May of 1955 from W. B. Ray High School and attended Del Mar College. She worked for the Southwestern Bell Telephone Company as a Service Order Completion Clerk where she met her life-long love, Leroy Steinocher. After a brief courtship, the young couple wed in July of 1957 and recently celebrated sixty-one years of marriage. They soon started a family, and Patsy became a dedicated homemaker to Leroy and their three children. She filled free time with volunteering at the schools of her children, ranging from chairing elementary school carnivals, to serving as president of the high school Parent Teacher Association. Pat realized that she really loved the PTA, meeting life-long friends, serving in various leadership roles, and eventually became President of the Corpus Christi City Council PTA. Her many years of volunteerism led to a nineteen-year career in the Corpus Christi Independent School District where she worked as the principal’s secretary at Menger Elementary School. While working, Pat was active in the Coastal Educational Support Staff Association and upon her retirement in 1999, she continued as a member of the Texas Retired Educational Secretaries Association. Pat had a love of traveling. She took advantage of the conferences CESSA and TRESSA offered, and these friends made many trips to experience New York City at Christmas time, to sight see and catch a Broadway show. She especially enjoyed traveling with her granddaughters visiting both the east and west coasts and Europe. Pat also had a love for singing. She was a member of St. John’s United Methodist Church for fifty plus years where she sang in the Sanctuary Choir. She helped design and create banners for the church walls, needlepointed a kneeling cushion for the altar, and created handmade ornaments for the church’s Chrismon tree. She devoted her life to serving her Lord in the church she loved so much. Pat was a serious cookie baker, and she garnered quite the reputation with her Christmas sugar cookies she shared with family and friends. She hosted her Sea Gals Red Hat Society group for the annual Christmas luncheon for many years, and everyone always left with a tin of Christmas cookies. Pat had a love for reading, amassing quite a collection of books. 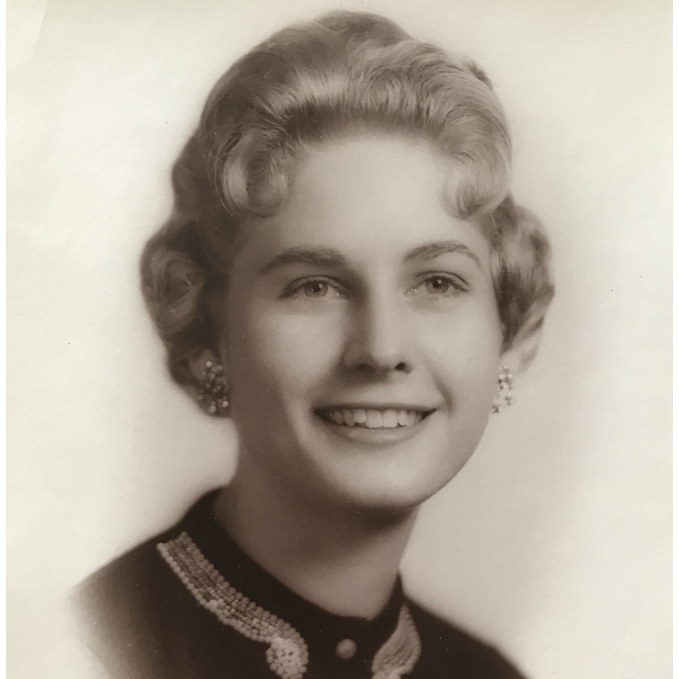 Pat’s greatest treasures were her family, and she was especially proud of her three children, eight grandchildren, and seven great grandchildren. Patsy was an eternal optimist, always finding the good in people. She was everything a woman should be…smart, funny, talented, a devoted wife, a nurturing mom, and she always gave more than she took. She was preceded in death by her parents, brothers and daughter-in-law, Kara Steinocher. Pat is survived by her husband, Leroy, and children Lisa (Steve) Davidson, Paula (Steve) Thomas and Larry Steinocher. She made a lasting impression on her grandchildren Christi (Landon) Gibbs, Carri (Joe) Mecca, Cameron (Heather) Davidson, Sam Thomas, John Thomas, Joe Steinocher, Kiersten Barnard and Tanner Steinocher. She is also survived by her seven great grandchildren who gave her pure joy. Pat is also survived by her niece Louise Pearson and nephews Robert Foy and James Foy. A memorial service celebrating the life of Priscilla Steinocher will be held Saturday, February 9, 2019 at 2:00 p.m. at St. John’s United Methodist Church located at 5300 South Alameda, Corpus Christi, Texas, 78412. Memorial contributions can be sent to St. John’s United Methodist Church.